Sign up and receive special in store promotions and upcoming coupons for your local true value stores. Print coupon for a $5 discount on a gallon of Benjamin Moore paint. Print coupon and receive a free quart of EasyCare Ultra Premium satin paint. While supplies last at participating True Value Hardware stores. See coupon for more details. 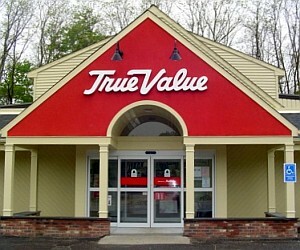 True Value is a home improvement store that sells paint supplies, tools, lawn & garden products, power tools and more.